One of the most astonishing miracles depicted in the Bible is the resurrection of Lazarus. Astonishing because Lazarus was dead; and that too for four days! John chapter 11 verses 39-44 highlight the miracle vividly. The message that is conveyed in this miracle is that Jesus wants us to believe that the heavenly Father always hears Him. He wants us to believe this so that we can see the glory of God. Before raising Lazarus from the dead Jesus thanked the heavenly Father and believed that His prayers would be answered. We also have to thank the almighty and believe that our prayers will be answered. Jesus asked the people around Lazarus to “unbind him and let him go” after raising him from the dead. We also have to unbind our ego, false pride and inability to forgive and accept other people in order to be free in spiritual life. When we thank God, believe in Jesus-believe that whatever he does for us is for our good and unbind ourselves, we see the glory of God. When Jesus came to the tomb of Lazarus, he asked the stone to be taken away from the tomb. Why did He, the Almighty, ask the stone to be taken away? He could have commanded and Lazarus would have come out blasting the stones to bits. This incident highlights a very important fact that all of us need to accept – God is capable of working miracles in our life but, he expects our co-operation. In other words when the person concerned acknowledges the hatred, lust, pride, vengeance etc. in his/her heart, he/she actually rolls away the stone from his/her heart. 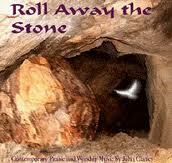 Once the stone is rolled away it paves the way for the spirit to enter our hearts. The Spirit of God resurrects us into new beings. To Jesus thanking the Father was just an extension of his faith, faith that the Father will do everything for Him. Whereas, to us, thanking God is very often a ritual that comes much after a success in life. This is the crucial difference between the belief shown by Jesus and our belief. After Lazarus was restored to life his hands and feet were unbound and he left behind the strips of cloth and went away. He did not carry the strips of cloth with him instead he left them behind and walked away from it. So also once we receive the gift of the spirit from God we have to abandon the old strips of cloth symbolizing our sinful life and the grave symbolizing our past and let the Holy Spirit lead us. When He calls our name, we are brought to life in the spirit. When we hear his voice we are suddenly brought to life!